Always check with your jurisdiction to see if there have been any changes since this was last updated. - and any reissues & redecos of them. THIS IS NOT LEGAL ADVICE OR WRITTEN BY A LAWYER - the purpose of this resource page is to only be a guide to help Transformers collectors in Australia, find the information and permits for themselves, to legally acquire and own these toys. Gun Control Laws (which includes replicas and imitations) are intended to keep them out of the hands of those not responsible enough to own them... and the Ozformers Club advocates adhering to the Law. 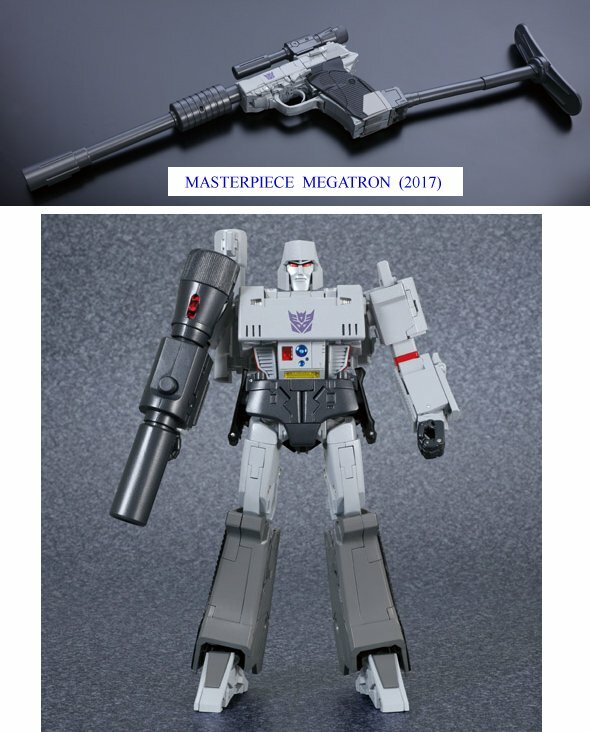 Provided that you act responsibly with your Gun Transformer toys (by not having them visible in public or causing alarm to others in their Gun mode), and don't have a Criminal Record, there are currently ways to own these toys without being confiscated by Police or Customs, or being prosecuted. Because the Maximum Penalties just for importing them, if caught and prosecuted (like a repeat offender) can be $425,000 and/or 10 years prison. Some states use different definitions for these toys, either as "Imitation Weapons" or as "Replica Weapons" or as "Prohibited Weapons/Items" - but specifically, these are items that are "inert" or "incapable" of being used like a real firing-projectile Weapon. HOWEVER, guns can still exert fear on others and be used to commit crimes even if they can't fire, which is why some states still have restrictions on them like regular firearms. NOTE - Laws can change at any time, and I will try to update this as often as I can, but since this is a guide for YOU to track down YOUR legal obligations (not provide legal advice), if you are about to buy or sell one of these toys, you must check with your jurisdiction (by email or phone) to see if any major changes have occurred since this was last updated. If any links no longer work, try searching from their main page and let me know (email address at the bottom of this page). If you have a firearm license in the same Handguns Category as these toys, chances are you are already legally allowed to own replica Handguns, but check the conditions of your License in your State. ALSO - State AND Federal laws may apply to your location , so please check that you satisfy the requirements of BOTH before buying, importing, or bringing back something from an overseas trip. Plus, be aware of any storage requirements in your State. Also, be aware of any State that prohibits or requires a permits for transporting an imitation/gun toy into that State for the purpose of a show or display. The two toy photos are the property of the Ozformers Transformers Club of Australia. They can be used for important reference purposes, but only with written permission. The toys are available to borrowed by any official agency, if they are needed for training or reference purposes. I offered to lend these toys to the QLD Police to take photos for reference and training purposes, and they said it would be "a waste of Queensland Police resources." History - Since about the mid-1980s, many states of Australia were starting to tighten gun ownership laws, which would include the category of "replica" or "imitation" weapons... a legal description that had the side-effect of including toys. As such, some states wouldn't permit the sale of the original 1984 Megatron toy. By the late 1990s, after a number of notable gun crimes, the Federal Government pressured the States to tighten gun laws even more. Even though the Federal Government has no jurisdiction to create these laws themselves, they have control over the Federal body of Customs, and enact laws to prevent unauthorised importation of guns (and related replicas). It might seem like doubling up on laws if you live in a State that requires a permit or license to buy and own a gun (including replica/imitation guns), but when it comes to crime-prevention (making sure that guns end up in the hands of responsible owners instead of criminals or the Black Market), it acts as a back up to any States that are the weakest link in Gun Control and Import Laws. They didn't appear to be looking out for the Original Megatron toy or Browning toy (both of which are packaged in gun mode) because very few people had theirs seized during this time, but Customs were actively looking for the x-ray image of the Masterpiece Megatron toy (which was packaged in robot mode). This led to a lot of illegal importing (hoping that it would go through undetected), or via Western Australia, which was the "hole in the defences" it seemed. But NSW had the tightest ownership laws, making it illegal to own... until Tiby (an experienced lawyer) took the time to work with the NSW Government and Police to develop a way for legal ownership of Gun-Formers within NSW. As for the rest of Australia, in general, ownership and purchasing is permitted, provided you have a License/Permit, AND, you don't have the toy out in public to create a disturbance or generate fear from others. IF STOLEN - report it to the Police, even if you didn't need a license, or didn't have one in a location that required it. If it ever gets used for a criminal act and is traced back to you, you could get into serious trouble. - A permit (B709A from your State/Territory Police) is required for the item to be imported or released. Contact details for queries and double-checking any changes. NOTE - these definitions and requirements ONLY apply to importing and Customs. States & Territories have their own definitions for these toys, and their own legal requirements to own or buy them from any source (foreign or domestic). (d) that is not a blank-fire firearm. An imitation of a firearm. - The importation must comply with the police certification test. Note: The importer can produce the statement, or statement and certificate, personally or by an agent, eg a firearm dealer. In other words, the "Police Certification Test" for these toys by Customs, no matter what your State/Territory classes these toys as, is to apply for and obtain a "Permit to Import Imitation Weapons" from your State/Territory Police Department. NOTE - there is NO national permit application form. You need to get one from your State/Territory... which will detailed below in each jurisdiction. Even though this is a Nation-wide restriction of Imports through Customs, each State/Territory Jurisdiction is different with their permits. Current contact details for each Jurisdiction can be found here. Once obtained, that Permit is a ONCE ONLY use - for each shipment of any amount. If you have already imported one without a permit (or a permit is still being processed) and Customs have seized it (they sent you a letter to notify you of the seizure), contact them as soon as you can so that it is held and not destroyed. They will only hold for about 2 weeks if you don't contact them, but they can hold for up to a year if you do contact them, depending on the permits required in your jurisdiction. If returning to Australia with a Gun-Former in your luggage - DECLARE IT TO CUSTOMS - or risk being prosecuted for smuggling a prohibited item if you get caught by a random bag check. And whatever you do, DON'T try to hide it in your luggage or break it up into parts, as the penalty would be worse if found, because it proves that you knew it was a restricted item. If you didn't already have a Permit ready before you left, don't worry, as the same process will apply as above, in that you can get them to hold the item until you get the Permit to allow you to import it. As for Exporting (posting or taking one overseas to a foreign buyer), according to a printed Customs fact-sheet, there is no restrictions or permits required to export imitation weapons. But check with your State Police Department to see if there are restrictions on SELLING weapons in your State/Territory, as some jurisdictions have restrictions on any sale, domestic or foreign. And probably best to make sure your buyer is aware of the Laws in their Country so that it is their responsibility if it is illegal or confiscated. (if you are personally taking one to another country, DON'T, unless you know for sure it is allowed to "traffic" imitation guns into their Jurisdiction). To bring a firearm into Australia, it is necessary for the importer to obtain a 'Form B709A: Importation of Firearms - Police Confirmation' from the Police Service of the state of Australia that the firearm will be imported into. You will need to obtain the B709A before you may import the firearm. - Classed as "Imitation Category H Firearm"
Contact details for queries and double-checking any changes. To import - Need TWO Customs Import Permits (form B709 - AND - form B709D) info sheet here. To purchase domestically - Permit is not necessary, but the seller must be licensed to sell imitation firearms if in NSW, or be witnessed by a registered Firearms Dealer. To own - Complete the Firearms Permit Form P634 and Statement Forms (has a $75 fee for 5 years, but as of 2015 the fee is still being waived for legitimate toy gun collectors) - details here. 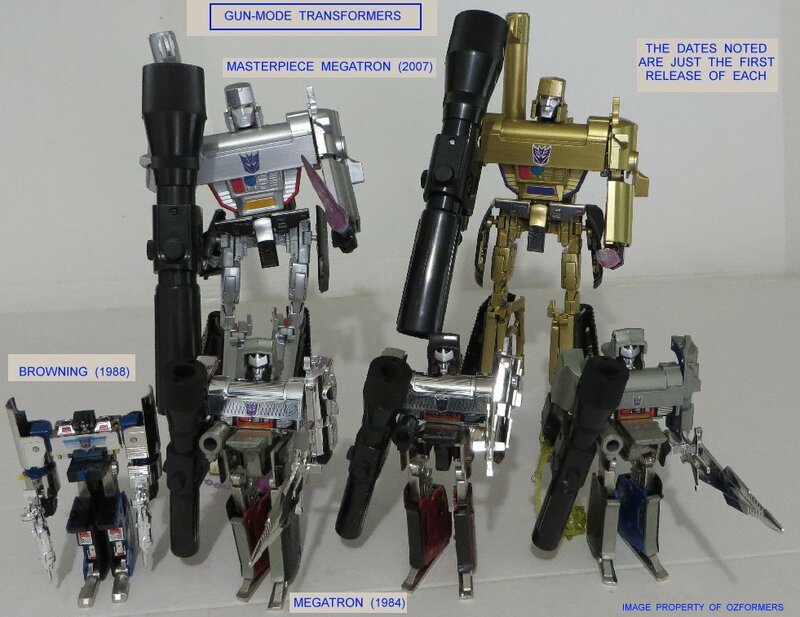 Permit requires strict storage requirements, and a valid reason for owning the Imitation weapon (details of your collection of related Transformers toys, AND, proof of Club membership, like The Megatron Club ($10 per year) - use this statement form). To sell - Requires the sale to be witnessed by a registered Firearms Dealer. MAKE SURE you renew the Permit every five years before it expires. Proof of Identity (if no other NSW firearms licence or permit is held or has been held). The fee is still waived for this type of permit. The prohibited weapon permit (P638) no longer applies to these items. Imitation firearms are not required to be registered and no PTA (Permit to Acquire) is required to purchase them (domestically). If purchasing in NSW, the seller would be required to be licensed to sell imitation firearms. If selling the imitation firearm the disposal transaction would need to be witnessed by a Firearms Dealer. Fact sheet about imitation weapons here, plus more info here and here. To purchase domestically - The Commissioner Approval Letter. To own - The Commissioner Approval Letter (No additional Licence or registration needed). To Sell - The Commissioner Approval Letter. Note - you only need the ONE Chief Commissioner Approval Letter from purchase, to ownership, to the sale of the toy later if you choose to, BUT it needs to be renewed every 3 years. If you already have more than one Gun-Former, the CCAL can cover them all at once, but if you buy any more Gun-Formers, you will fill out a new application form to update your details. Be aware that the Approval Letter asks for a lot of things, so take the time to read through the first half that explains the second half that you fill out. If you already have a license to own or purchase working handguns, you should only need the import permit for each imitation (toy) gun you import. Please be advised that in order to possess an imitation firearm a person needs to first obtain either a Chief Commissioner of Police Approval (CCP) or a Governor In Council Exemption (GIC). Having a CCP or a GIC covers a business or individual for the purposes of possession, acquisition, disposal and display of imitation firearms. The cost of a CCP is $178.70 for 3 years. After which the holder of a CCP is required to reapply for another CCP. If a person wishes to import an imitation firearm, the person needs to ensure they have a CCP or a GIC prior to making an application for a and obtaining an Import Permit. There is no cost involved in this process. - Classed as "Replica Category H Firearm"
To import - Obtain a Customs Import permit form B709 (Tick "B709A" - NO FEE - NOT B709D, as that is for real Handguns... B709A includes all replicas of other classes) and submit the application form to a Police Station or Weapons Licensing. It will take 2-8 weeks to process and be posted to you, which you then take to Customs to release your toy. To purchase domestically - No permit required for purchasing from anywhhere. To own - No license or registration required for replica non-firing Firearms, but be aware of "misuse provisions" in Sections 51-59 of the Weapons Act 1990. To sell - Okay to privately sell, if the buyer is permitted to own one in their jurisdiction. Replica Category H firearms are not subject to licensing and registration requirements within Queensland and do not require permit to acquire. There is also no issues with privately selling them after purchase etc. HOWEVER, those in possession should still take note of the misuse provisions under Section 51 to 59 of the Weapons Act 1990. - Items are classed as "Imitation" or "Controlled Weapons"
To import - Obtain a Police Certification Certificate B709 (application form is here on their Permits page), and when the Permit is sent to you, give it to Customs to release the toy to you. To purchase domestically - No permit required if already in the Country. To own - No permit or license required, but needs to be for a Lawful Reason and Purpose (keep it with your collection, so that if you are ever challenged by Police, the proof of a Lawful Reason is surrounding the toy - don't carry it with you in public as that would not be a Lawful Reason unless you can prove that you were just transporting it to or from a place of purchase/pickup). To sell - A seller of imitation firearms must comply with the Weapons Act 1999 and Weapons Regulations 1999. Imitation firearms cannot be sold to juveniles (Person under 18 years of age). To import any toy that has the appearance of a firearm, or an imitation firearm, the Australian Customs and Border Protection Service requires the submission of a B709 Police Certification Certificate. The application form can be downloaded from the WAPOL website at www.police.wa.gov.au · If an item is already in the country, no permit or licence is required in Western Australia. · A seller of imitation firearms must comply with the Weapons Act 1999 and Weapons Regulations 1999. Imitation firearms cannot be sold to juveniles (Person under 18 years of age). If an item is clearly a toy it is not classified as an imitation firearm as described in the Weapons Regulations 1999, Schedule 2. - Classed as a "Children's Toy", so is exempt from Regulation. - Free to own without licensing or permit. To import - Email Firearms Division for a B709 Import Permit, or Contact Customs in SA. The SA Police might not object to importing the item, but Customs still needs a permit to allow for it to be released into your custody. To purchase domestically - No permit required. To own - No license or permit required. To sell - No license required. If it had been classed as a Replica Weapon, or if the classification changes later, as recently as January 2015, it is noted that replica weapons have to be registered, and the owner has to be licensed. The Police website doesn't have any actual information on registering and licensing for replica weapons, so if the classification of these toys does change, Email Firearms Division for licensing and permit requirements. My understanding of the item you have mentioned and what pictures were available on the internet I am confident that the item would be classed as a children’s toy and therefore exempt for the firearm regulatory process. There would be no licence requirement to possess, buy or sell. Importation is controlled by the Australian Customs and Border Protection Service but there would be no objection to importation by SA police. - Items are classed as "Imitation Firearm" IF it could reasonably be taken to be a firearm. - Legal to own with Firearms License, but the toys don't need to be registered like a Firearm. To import - Should require Import Permit B709, so email Firearms Division for a copy of the Permit application form. Permit might cost $14.80. To purchase domestically - IF you don't want to be challenged over its classification as an Imitation Firearm, you would need to be licensed to own a Firearm before you can buy one. To own - IF you don't want to be challenged over its classification as an Imitation Firearm, you would need a Category H Firearms License, which is only for people 18 or over, and for a Genuine Reason (provide proof of your collection and membership to a relevant collector club), plus maintain safe storage. Email Firearms Division for the License application form. License might cost $103.60 for 5 years. To sell - The sale is likely to require a registered Firearms Dealer to facilitate, so Email Firearms Division for verification. The only 'genuine reason' to possess imitation (or replica) firearms is firearms collection. The licence holder must have the appropriate category endorsed for the specific firearm and be a member of an Collection Club/Organisation. Imitation firearms are not required to be registered although all other provisions of the Act (including safekeeping and storage) apply to imitation firearms." NOTE - details for this section is not currently known, due to possible changes in the Law very soon (see quoted reply below). Possibly requires a Collector's License. Waiting for details. A decision was handed down in the Supreme Court recently that will affect the answer to your questions. That decision is being appealed by the DPP and failing a satisfactory outcome, the legislation will be changed to reflect the intention of the current legislation. Very little can be done online for licensing and permits for Firearms in NT, so you will need to contact the Firearms Division for your application forms and procedures. To import - contact Firearms Division or Customs for the applicable import permit for NT. To purchase domestically - If classed as a Prohibited Weapon, certain criteria are required. Contact the Firearms Division for those details. To own - If classed as a Prohibited Weapon, it will require a license. Contact Firearms Division for the license application. A Collector's License also exists, but appears to be more difficult to acquire. To sell - Only licensed owners can sell to other licensed owners, or to someone in another state that meets their state's requirements for ownership. In respect to the Northern Territory (NT) there are two specific pieces of legislation which regulate firearms and weapons. The NT Firearms Act and Regulations and the NT Weapons Control Act and Regulations. As the names imply one piece of legislation pertains to the administration of firearms and the other to all other weapons which do not fall under the administration of the Firearms Act. These are not firearms but because of their appearance are an ‘imitation’ firearm and in the NT treated as a ‘Prohibited Weapon’. A good example of what an imitation firearm is are the ‘blue’ guns used by law enforcement agencies for firearms training. 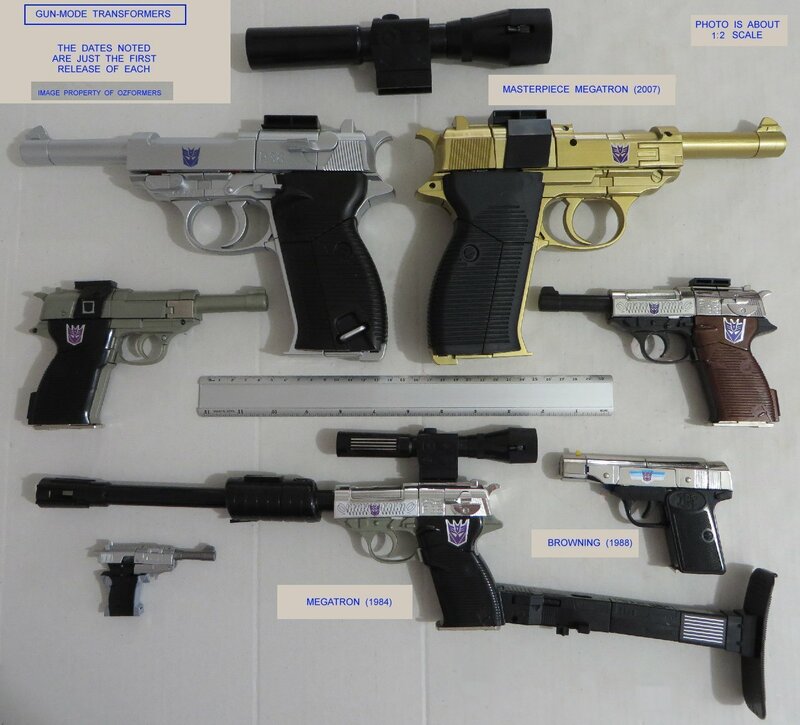 These are not firearms but because of their appearance are an ‘imitation’ firearm and in the NT treated as a ‘Prohibited Weapon’. A firearm carved out of wood and painted up to look like the actual item is an imitation firearm and would a prohibited weapon. It does not matter that it cannot discharge any projectile and that the only harm one could cause is to hit someone with it or drop it on their toe. A Prohibited Weapons licence is required to possess any ‘prohibited weapons’ in the NT. Application is made in much the same way as that for a firearms licence. Specific checks are conducted to ascertain the suitability of someone to hold this type of licence. Storage requirements do vary depending on the type of prohibited weapon the licence is sought for. These are considered through the addition of specific condition codes on the licence which mandate any storage requirements or any other requirements specific to the application type. Items which are regulated at a federal level may or may not be regulated at a jurisdictional level. There are many items which are seized by Customs at importation where a permit is required from the respective jurisdiction to enable release to the person by Customs. In some cases Import approval is provided for items which are not regulated in the NT or are only ‘controlled’. This office has granted import permits for the release of items held by Customs where no licencing is required to possess the item in the NT. In other cases items are seized by Customs as the person importing was not aware of their obligations and application is made for the appropriate licence to enable possession. Generally only items which are not regulated or that are only controlled are available over the counter without any licencing. Most retailers are aware of their obligations. The difficulty being that regulation varies between states and territories. Another example - not specifically a ‘toy gun’ are crossbows. These are prohibited in some jurisdiction’s (no possession is permitted at all) whereas in the NT they are controlled under the Weapons Control Act which enables ownership provided certain criteria are met. Any items which require the possessor to hold a licence could only be sold to someone who is also appropriately licenced in the same manner provided they are required to hold a licence in the jurisdiction they are resident. Collectors are only specifically considered in the NT under the Firearms Act. Prohibited Weapons licences have been issued to ‘bona fide collectors’ for prohibited weapons on the provision of appropriate supporting documentation in support of the application. Last edited by griffin; 31st March 2017 at 06:24 AM.